Holding that there was no change in India's stand on the issue of reconciliation and devolution of political powers to ethnic Tamils in Sri Lanka, Prime Minister Manmohan Singh has informed Chief Minister J Jayalalithaa that New Delhi will work towards ensuring that Tamils are "masters of their own destiny within framework of a united Sri Lanka." 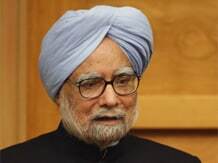 "There is absolutely no change in Government of India's stand on the question of reconciliation and devolution of political powers in Sri Lanka. "We have long advocated the creation of an environment in Sri Lanka in which all communities, particularly the Sri Lankan Tamils, are masters of their own destiny within the framework of a united Sri Lanka. We will continue to work towards this end", Singh told Jayalalitha in response to her letter dated July 14. The text of Singh's letter was released by the state government today. Jayalalitha had written to the Prime Minister strongly urging New Delhi to take pressure the Sri Lankan Government not to take any steps to repeal or dilute the 13th Amendment of the Sri Lankan Constitution in any manner. 13th Amendment is part of the Indo-Lanka accord of 1987 which seeks to give more powers to the provinces. There are reports that the Lankan government wants to repeal it despite India's concerns. Jayalalithaa had called upon the Centre to take a decisive and bold stand in support of the Tamils, besides asking India to ensure that the process of democratic decentralization was in no way jeopardised.